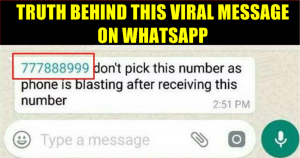 Receiving A Call Or A Message From “777888999” Might Get You Killed! Here’s The Truth Behind It! This is a serious warning to the people who are addicted to the internet. You all must be careful and remember one rule i.e. “Don’t trust anything and everything you see” while browsing the internet. These days, a lot of crap, viruses, and malware is being spread on the internet. The hackers’ only intention is to take away the data and panic the users. Recently, a viral message has taken social media by storm. It is being spread on WhatsApp and Facebook. 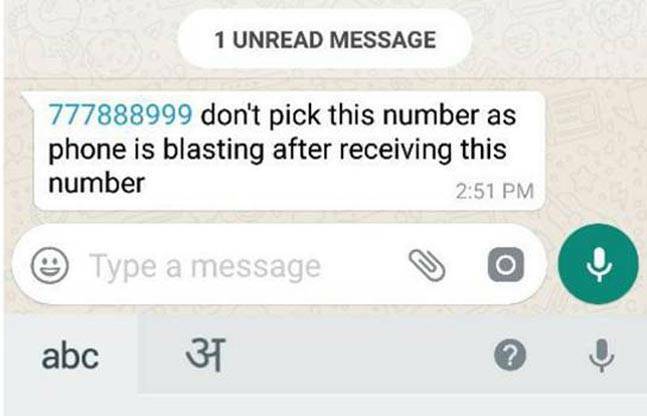 The message has been circulating warning people that answering a phone call from a specific mobile number may set their handset on fire and render them dead. According to the message, answering a call from the number 777888999 could prove fatal because answering the call will make your phone explode. Facebook pages and family WhatsApp groups have been abuzz with texts like “URGENT? Pls, don’t attend any Call of mobile no. 777888999, if u attend the call, your mobile will blast. 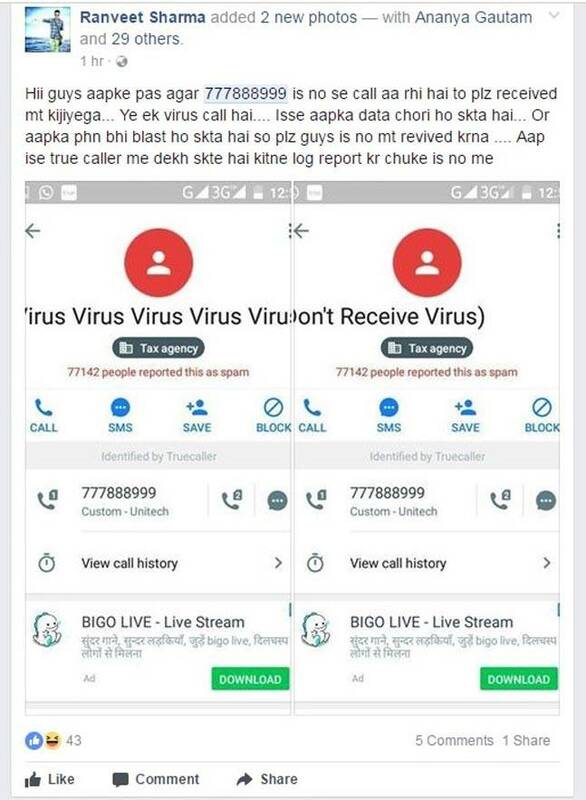 Pls share this with your friends,” and “Savdhaan ish No.777888999 Se call Aya Toh Utana Nhi, Nhi Toh Ye Aapke Akhri Call b Hosakta Hain,” the message read. One more message that you might receive is, “A lady will speak to the call receiver and tell that it’s the last call for him. Please pass this message to others and don’t neglect. Pass it to your friends and family.” However, according to media reports, all this is just another social media HOAX. For your kind information, nine digit numbers do not exist in India. Nine digit numbers exist in foreign countries and if Indian number receive such calls then it will be prefixed with a country code. After verifying everything, experts have said that this is a 9 digit number and won’t do any harm. 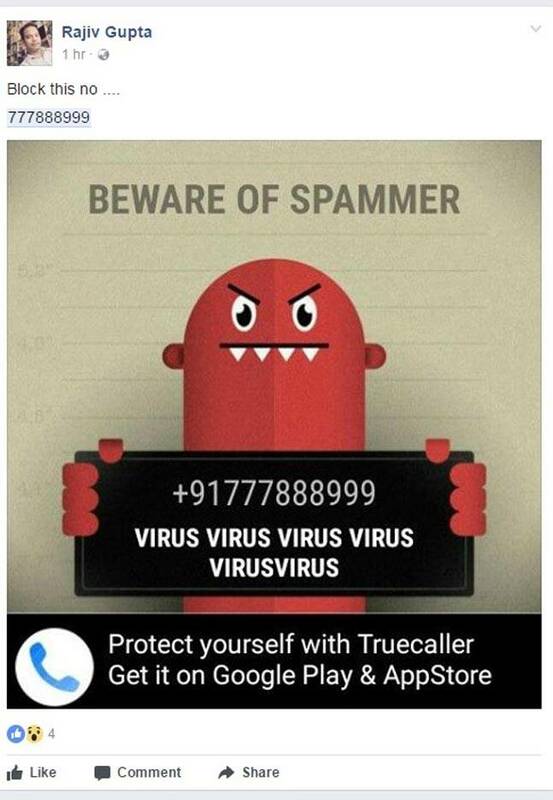 The number, according to a Truecaller search, belongs to “Don’t Receive Virus”. It’s threatening, right? Of course, it is not a verified number, and it is listed under “tax agency” and has been reported by 77,573 people. So finally, after doing a reality check, it was proved that the message was fictitious. Pawan Duggal, a cyber expert said, “New technologies are being developed all the time but techniques through which a call can set a mobile phone on fire have not hit the mainstream. It’s a request to stop believing in such messages because they make no sense at all.” As stated by the cyber expert, there’s no technology which can explode your phone. Next time when you receive a message like this, just DELETE it right away. Instead of forwarding it blindly, verify it and inform others accordingly. There is, however, no doubt that this is all part of a bigger scheme of hoaxes that can be insidious as well. Very recently after the world was terrorized by a ransomware known as WannaCryptor, Indian WhatsApp groups were filled with rumors about ATMs and Indian computers being compromised. Messages warning people that ATMs will be shut over the next few days and that they should stay away from online shopping sites have been spreading like wildfire. Of course, that is not true either. But it does make one wonder: why do we not fact-check anything? So, what do you say? Did you get such messages? Share your views with us in the comments section below.